More than 2 million Americans use auto title loans annually, according to a study conducted by The Pew Charitable Trusts. Now, RV title loans enable RV owners to borrow against the value of their vehicles. As such, RV title loans are becoming exceedingly popular. So, what are RV title loans all about? To find out, let’s take a look at 10 key questions surrounding RV title loans. 1: What Are RV Title Loans? 2: How Do RV Title Loans Work? 3: Are There RV Title Loan Requirements? 4: How Can You Apply for an RV Title Loan? 5: How Much Money Can You Get with an RV Title Loan? 6: What Happens If You Don’t Pay Your RV Title Loan on Time? 7: How Does an RV Title Loans Differ from Other Types of Title Loans? 8: What Are the Benefits of RV Title Loans? 9: What Are Travel Trailer Title Loans? 10: Who Should You Choose for an RV Title Loan? 1. What Are RV Title Loans? An RV title loan involves using your RV title to obtain financing. Once you give your RV title to a lender, you will receive your loan. 2. How Do RV Title Loans Work? An RV title loan requires you to use your RV as collateral for your loan, while showing the ability to repay it. Next, a lien is placed on your RV’s title. In exchange, you’ll receive a loan. If you make your loan payments on schedule, you’ll pay off your balance, and the lien will be removed from your RV. At this point, your RV title is returned to you. 3. Are There RV Title Loan Requirements? RV title loan requirements are generally minimal. In some instances, all you need is an RV title and a completed RV title loan application. You may also be required to provide a lender with a valid ID, proof of income, proof of insurance, and proof of residency and credit check. One of the most important factors is showing the ability to pay back the loan. If you have concerns about RV title loan requirements, talk to a lender. That way, you can find out if you are eligible for an RV title loan and proceed accordingly. 4. How Can You Apply for an RV Title Loan? Lenders typically accept RV title loan applications online, over the phone, or in-person. They also provide a seamless application process designed to help you get the money you need, as quickly as possible. 1. Tell the lender how much money you want. Figure out how much money you need before you submit your RV title loan application. Then, submit an application to a lender that can offer the necessary financing to fulfill your request. 2. Answer the lender’s questions about your RV. Provide any required information about your RV, such as details about your vehicle’s model, style, age, and mileage. Provide all the documents asked by the lender. The faster you can come up with those, the bigger the chances are that you’ll get the approval on the same day. Transparency is key during the RV title loan application process. If you are honest and upfront with a lender, you can speed up the process of getting your loan application approved. 5. How Much Money Can You Get with an RV Title Loan? 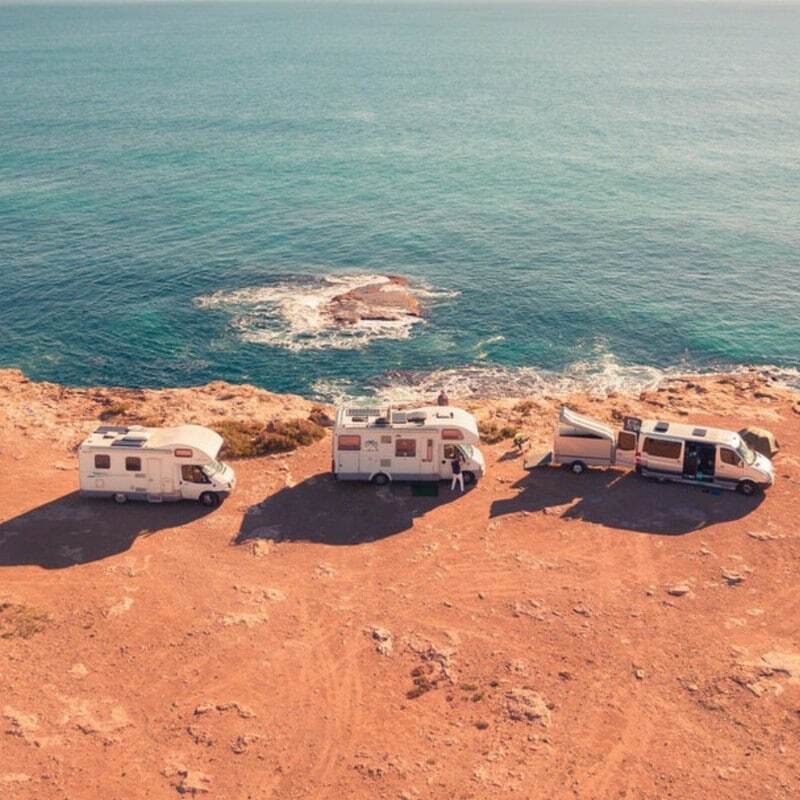 The amount of money you can get with an RV title loan depends on a lender’s valuation of your vehicle, your ability to repay the loan and the lender itself. Unfortunately, you won’t know how much you’ll receive on an RV title loan until a lender evaluates it and you demonstrate ability to repay back the loan. 6. What Happens If You Don't Pay Your RV Title Loan on Time? A piece of RV title loan advice: don’t bite off more than you can chew. Because if you cannot pay off your RV title loan on schedule, your lender will seize your vehicle. Research shows one in five title loan borrowers lose their vehicles. Conversely, if you make your loan payments on time, you have no reason to worry. Before you know it, you will have your RV title loan paid in full. 7. How Does an RV Title Loans Differ from Other Types of Title Loans? RV title loans differ from other types of title loans because they involve the use of an RV title as loan collateral. Otherwise, RV title loans are virtually identical to other types of title loans. 8. What Are the Benefits of RV Title Loans? Bad credit is not the end of the road. Lenders require a credit check during the RV title loan application process. But, you may be eligible for an RV title loan, regardless of your credit score. Showing the ability to repay the loan can suffice in most cases. You can obtain cash instantly. The RV title loan application process is straightforward, and once you complete it, you may receive the funds you need in no time. You may be eligible for several RV title loan payment options, ensuring you can pay off your loan on a schedule that works for you. You won’t have to sell your RV. For RV owners who need money but don’t want to sell their vehicles, RV title loans are ideal. Thanks to an RV title loan, you can use your RV as collateral to secure immediate financing. Lenders are happy to assist you throughout the RV title loan application process and help you select a loan to accommodate your request. 9. What Are Travel Trailer Title Loans? If you own a trailer, you may qualify for a travel trailer title loan. With a travel trailer title loan, you use your trailer title as loan collateral. 10. Who Should You Choose for an RV Title Loan? There is no shortage of lenders that provide RV title loans, and as a result, distinguishing an exceptional lender from an average lender is sometimes difficult. Outstanding Customer Service — Your lender should be accessible via phone call, email, and in-person to answer your RV title loan questions. Accurate RV Valuation — Your lender should allocate the necessary time and resources to provide you with an accurate RV valuation so you can get the maximum cash value for your vehicle. Multiple Payment Plans — Your lender should provide you with a variety of payment plan options.